To make a good soundtrack, one that makes its way into open ears and sends chills or plants a smile on faces, involves a high level of emotion. Visually seeing the storyline and pairing the right sound for each one takes some skill and a certain connection with the tale at hand. Once that right pairing is made, there is no way to undo it. 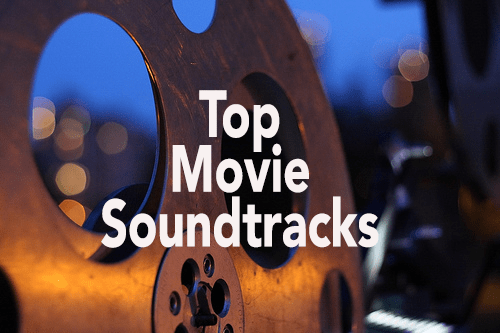 In light of the recent movie release of “Paper Towns,” that has an incredibly inspirational soundtrack, a list has been compiled below to join in on the excitement of soundtracks and which ones made an impact on our everyday lives throughout the past years. Some more recent than others, this list may bring out the nostalgia in movie-goers and music enthusiasts alike. This movie was one that made it to the Top 10 Favorites of Julia Stiles fans back when first seen. But there is something about the punky-fresh fun sound that is uplifting, rebellious and full of angst all at the same time; which of course is the sum of what high school feels like. Heath Ledger (RIP) of course doesn’t hurt to look at. This is a different genre of soundtrack to like, but honestly…Eddie Murphy and Mike Myers, of course this movie was great. The soundtrack was on repeat for anyone who enjoyed this movie. Full of the fun, quirky, love that is the story of Shrek. Ranging from Baha Men to Dana Glover this soundtrack is a blissful mix of nostalgia from any early 2000 era childhood of the teenage variety. First off, this movie changed a lot of perception when it came to putting animation and comic-like emphasis on a real person cast. Completely phenomenal. Of course, in following suit with most of these soundtrack choices, this one in particular has such a next door neighbor grunge-punk band feel to it. It’s one that’s worth cranking up in the car and rocking out to. Alright, this is to all those who understand this type of lifestyle and age-group, a know that this movie makes us want to throw a massive party. The mix of dubstep, rock-pop, and rap make for the best party atmospheres generally. But, for the majority of us in the real world, this kind of epic mind-blowing party is not anything tangible; so at least we have this wonderful soundtrack to this once-in-a-lifetime party to feel as though we were almost there. Raise your glass to this one! For those who have seen this movie, you know how classically cute and curious it is. For being such a small but epic adventure story of two young kids the soundtrack does a wonderful job of capturing that allure through simple music notes and voiceovers. Most of the tracks are something not heard outside of the movie on a regular basis, but for some reason you can’t help and listen to this soundtrack without reliving the fun, child-like spontaneity. It’s almost like following a map through music melody. Another movie from the 90’s that just can’t be seen enough. Of course those who have been a fan of Sandra Bullock for years there is something about this movie that keeps us coming back for more, including the soundtrack. There is such a variety of feminine yet dark songs that fit the movie plot so well that listening through the soundtrack just helps replay the movie in the mind. Magic, love, and family; a classic movie and soundtrack that come highly recommended. First of all, this book was amazing. Just, mind-blowing. So when the movie came out AND was starring Leo DiCaprio, it became a must-see. Both the plot and feeling to the book and movie are very intense; passionate, mysterious and intense. Like that out of control, losing grip but maintaining consciousness rush. Using very trance-like music for majority of the soundtrack reflects that well; definitely a great soundtrack to unwind to, or amp up, in any mood. Where do you find your Beach?